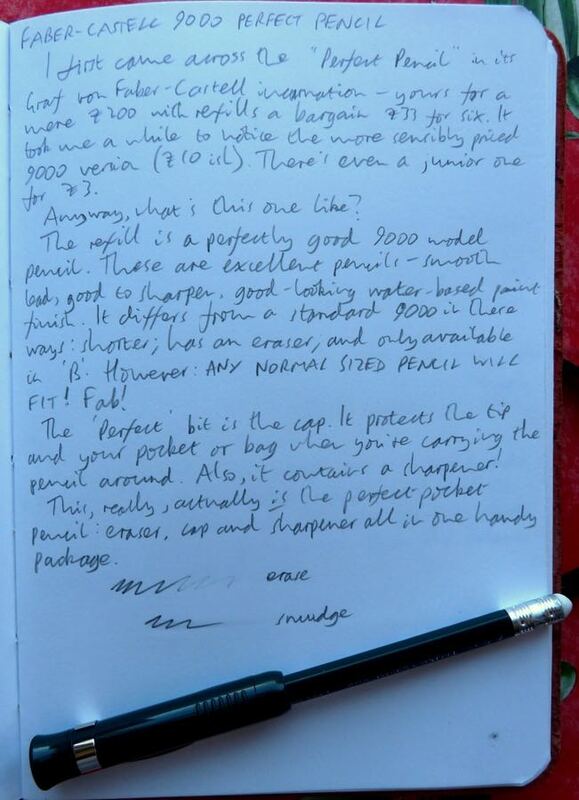 Faber-Castell 9000 Perfect Pencil Review – Pens! Paper! Pencils! I’ve written quite a few reviews of pencils where I’ve been convinced I’ve found the perfect pocket pencil. They’ve been almost perfect for my needs but have lacked a certain something. The Kaweco Brass Sketch Up is a wonderful and very beautiful object but, try as I might (and I have tried for quite some time), I struggle with using a 5.6mm pencil to sketch in a pocket notebook. It has a pointer but no eraser. The Twist Bullet Pencil has an eraser and a nice pencil but no sharpener and involves some messing about with refills. Don’t get me wrong, I love using both of these (and several others) and have carried both around with me for weeks if not months at a time. What I’ve really wanted, though, is a sharp-tipped pencil with an eraser and a sharpener that will fit in my pocket. Sometimes, to be honest, I can be a bit of a numpty. Something like a year ago I had bought the Faber-Castell 9000 Perfect Pencil, had a quick look at it, and then put it away to continue my search. It turns out that, for me at least, this really is the perfect (pocket) pencil; I’d had it all this time. I’d been turned off the Perfect Pencil for a couple of reasons. Some part of me fundamentally objects to any object that is called ‘perfect’. I refuse to be brainwashed by such lazy marketing! You need to put a little more effort into brainwashing me, or so I like to believe. 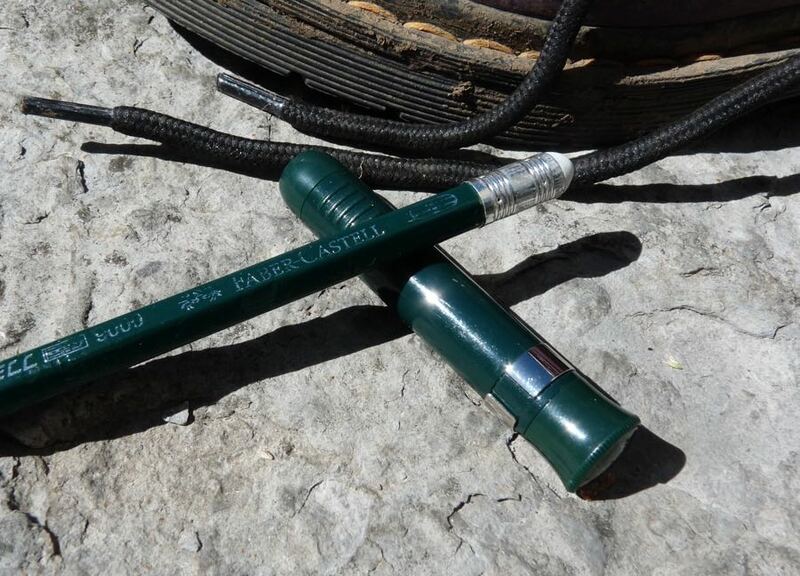 Secondly, my first exposure to the Perfect Pencil was seeing the Graf von Faber-Castell version, which costs a whopping £200. That’s quite a lot, really. The name combined with the price just smacks of arrogance. However it turns out there’s a Junior version for a more reasonable £3 or this 9000 version for a little over £10. A lot more sensible. 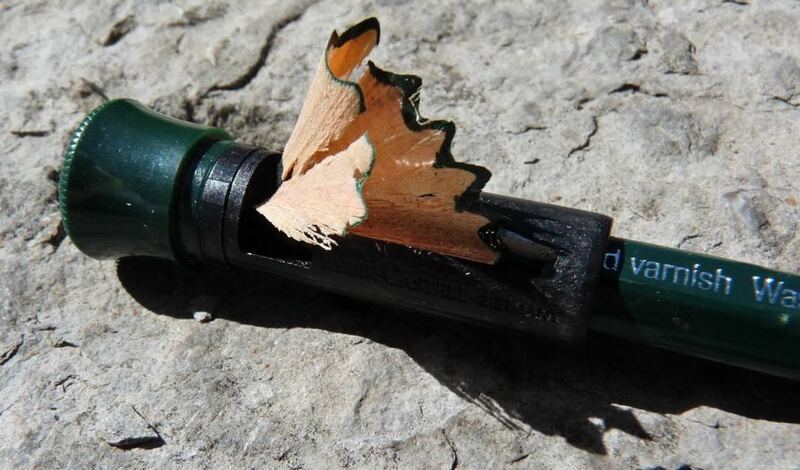 Really, the Perfect Pencil is just a pencil with a cap. 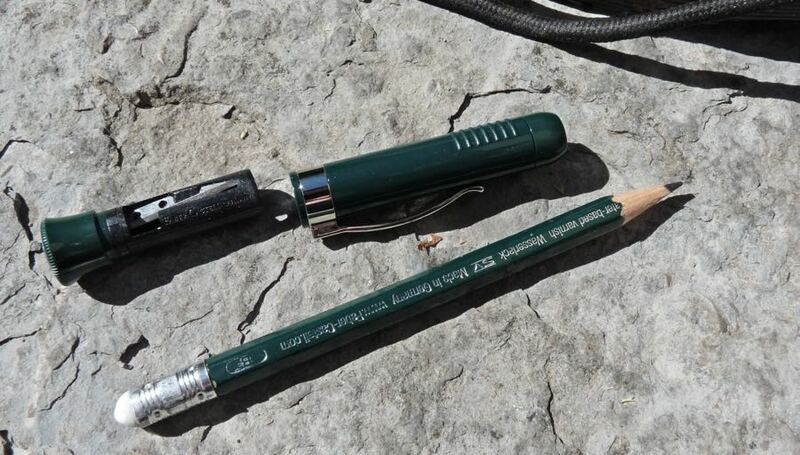 The cap pushes onto the pencil securely and has a nice strong clip and a hidden sharpener. Both work well. The pencil part is a slightly shorter Faber-Castell 9000 pencil with the addition of an eraser. 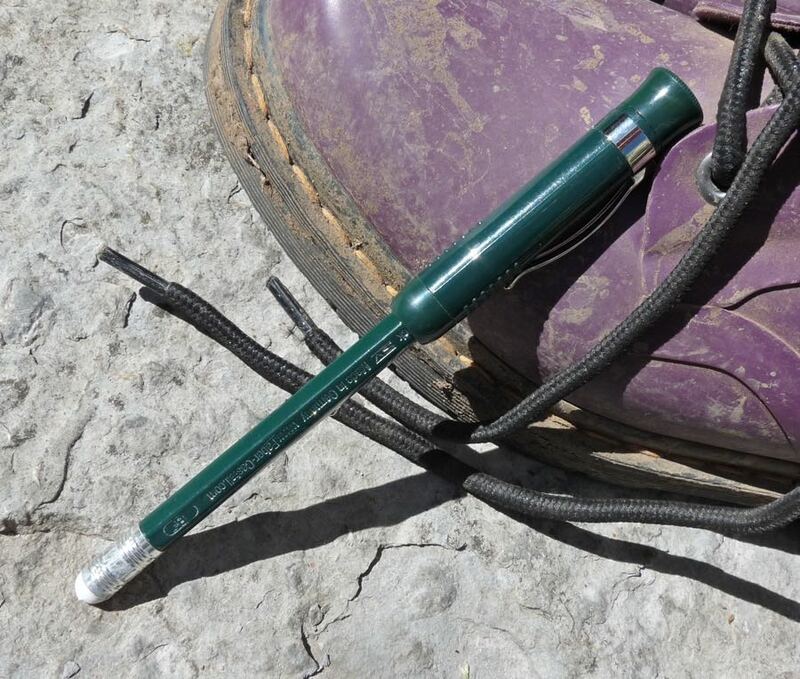 The 9000 is a great pencil, with smooth lead, a lovely wood barrel and good quality water-based varnish. This eraser/short barrel version is only available in a B grade. If you’re going to pick one that’s probably the one to go for (a good compromise between writing and drawing) but it would be nice to have more choice. As purchased, the Faber-Castell 9000 Perfect Pencil is wonderful. All elements are good. It’s exactly what I’ve been looking for. There’s more, though. Virtually any normal sized wooden pencil will fit. So if the 9000 isn’t the pencil for you, you can swap it for something else. However, bear in mind that the 9000 Perfect Pencil refill is a little shorter than a normal pencil (the capped refill is about a normal pencil length). 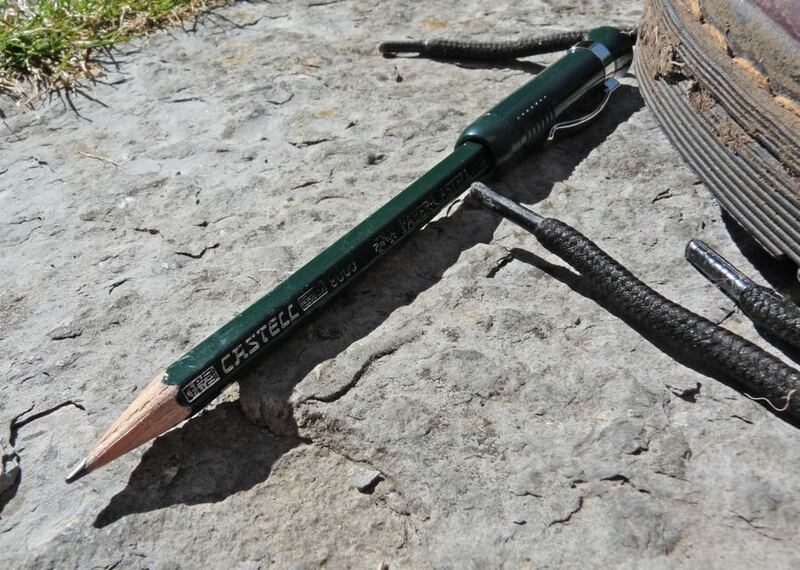 Does the Faber-Castell 9000 Perfect Pencil live up to its name? It pretty much does, for me. I’d like to be able to pick different lead grades and I don’t find the colour very inspiring but that’s all that’s wrong. All the time I was searching for the best pencil to carry around in my pocket, and I had it in a drawer all the time. I really like these – if you’re interested, I did a visual comparison of the £3 Junior and this version recently. The pencil in the Junior is pretty good, writing with a slightly darker line than the version included with the 9000 version. That’s a really interesting comparison. I am a Faber Castell junky and I love all of their wooden pencils!